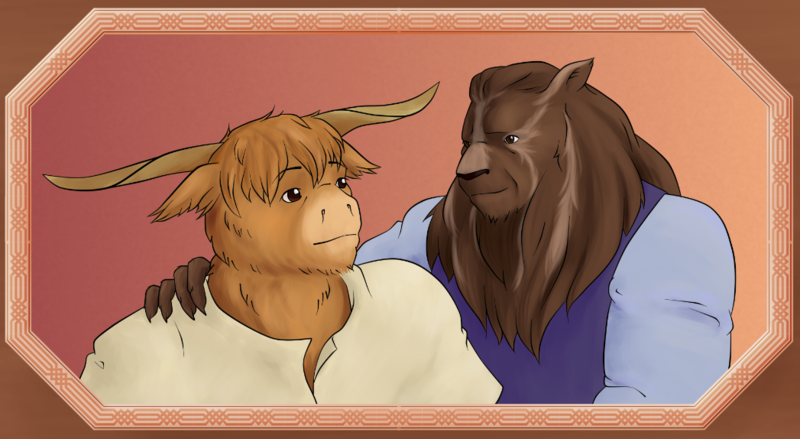 Lorel, a centaur matriarch, took the boy into her herd and named him Kyros. He grew up alongside a number of other foundlings from the outer city, learning to reach out and help others regardless of their race. When he started his own business and opened a public eating house in the outer city, he called it the Bar None in Lorel’s honour, making a place where all would be welcome. When a tired dwarf carrying a sick child on kaj’r back knocked on the door, Kyros was able to offer work and a place to stay. It’s been a long time since Saral first moved in to the Bar None. Since then magic has grown thinner, prices higher, and Kyros’ mood crystal is less and less effective. When Jackin first came to live with them he’d recite poetry to send her to sleep – now he can barely read.